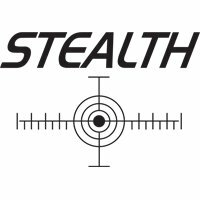 The Stealth Cue company is dedicated to advancing the billiard industry in both style and technology. Stealth pool cues are truly unlike any other cue on the market. Stealth cues provide a one-of-a-kind grip with their unique Dooley handles. Combine that with high end components and innovative designs and you have a series of cues that truly stands out in the crowd. Don't forget that every Stealth pool table sticks qualify for Free Ground Shipping in the lower 48 United States!